We know that resources come in many forms - time, energy, money - and we don't take it lightly that you are considering investing yours with us! We want you to feel confident in your choice, and we talk to clients daily to help ensure that that's the case. Below you can find a collection of the most frequently asked questions with our best answers. Please let us know if you have any that are unanswered! And you know what? I’m not always comfortable in front of the camera! So if you’re feeling camera shy, I can totally empathize. But I’m a pretty witty lady - I love words! - and I’ll get us both laughing in no time. My goal is to get you to forget about the camera, so I can capture you and yours as you really are. Feel free to check out my Instagram and Facebook pages for up-to-date snapshots of my life. Our office hours are Monday-Friday, 9 am - 4 pm (EST). We observe all major holidays. :) These are the hours we’re available for calls and e-mail correspondence. For photography sessions, I’m also available on select evenings and Saturdays. Business Portraits. Boudoir/Radiance. Families. Gardenia Project.Weddings/Elopements. Personal Branding. Photography Classes. Senior Portraits. The initial investment is around $200 for your session fee. (It varies slightly, depending on if you choose a weekday or Saturday, and if travel time needs to be considered.) The session fee includes the time I spend with you during the session, the time I spend editing/curating your images, and the time we’ll spend together at your ordering session. My images start at $175/per, with package rates offered for multiple prints. Most clients invest $1,200-$2,800 on images they love. The exceptions? Business portraits are an investment of $219, which includes a digital image and the 20-minute session fee. Photography classes are $250 and can be one-on-one (2 hours) or in a group setting (4 hours). Personal branding sessions have their own rates, click on the page to learn more! And my weddings and elopements/engagements have a different price structure, so please let me know what your day looks like to be quoted correctly! Please do connect with me or my studio manager, though! We’re happy to answer any questions you might have. How quickly can I book a session? I typically book 3-4 weeks in advance. (Summers and Saturdays are the most coveted.) It helps if you have a window of dates in mind. If you are looking to book a particular date/time - think weddings/elopements/family reunions - please contact me as far in advance as possible! If you are looking for a shorter session - my headshots only take 20 minutes - I’ll likely be able to squeeze you in sooner. In the event that you need your session or images rushed, please note that that will require a surcharge, depending on the timing of the rush order. Generally speaking, though, you should not anticipate seeing images until you’ve scheduled your preview session, 10 to 15 business days AFTER your session. If you do require rapid turnaround, you must let me know prior to booking the session so I can decide if I can reasonably accommodate your request. General rule of thumb? If you’re thinking about wanting to work with me, reach out! That way, we’ve a much better chance of getting you in at the time you’d like. What can I expect, day of? Each session is different! And when you inquire, myself or my studio manager will help walk you through what you and anyone else participating in the shoot can expect. (You can imagine business portraits and boudoir sessions are fairly different!) But generally speaking, my sessions run about an hour. They are fun, relaxed, and the opposite of stuffy. We’ll chat on the phone before the session so I can have a good idea who you are, and you can hear my lovely (loud!) laugh prior to meeting. If you come in for a business session, you can expect your digital file proofs about 5 business days after our session. After making your selections, you can let me know if there are any further edits* to do. You can expect your images a day or two after making the final selection. For all other sessions, please allow 10-15 business days so I may edit and curate your portfolio. If you are a local client, I’ll have you out to the studio so you can view the images with me. I’ve found this is the best way for clients to see the quality of the prints, as well as make an informed decision about what to take home! Local clients have the option of picking up their images from my home office or the studio. Large canvases are almost always drop shipped. You can expect to have your images about a week after your order is placed. If you live outside of the Portland area, we’ll set up a call via a video conferencing/screen sharing platform. 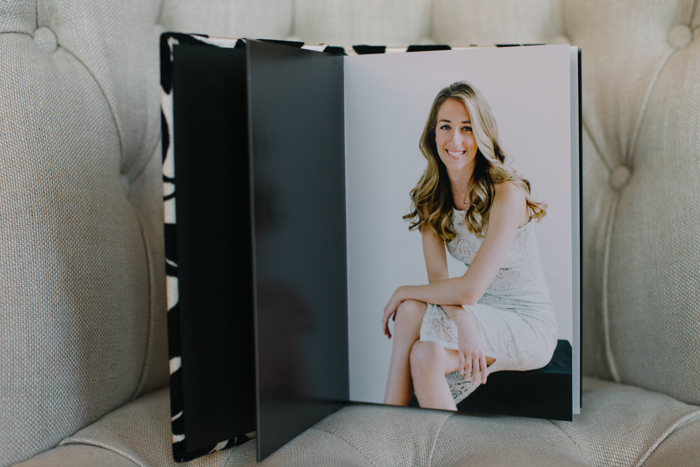 I’ll walk you through your portfolio and help you choose the images you love best! They will then be drop shipped to you after they are processed, about a week after the order is placed. I do not offer online galleries. I’ve found that they can drag out the ordering process, and, unfortunately, in the past they’ve led to clients sharing images that had not been purchased. If you require rapid turnaround, please note that a rush order surcharge will be applied. The fee will depend on your deadline. *The session fee for all sessions covers editing. However if there is extensive editing, or significant Photoshop, an additional fee may be incurred. That’s atypical, and if it is necessary, I always check in with my clients, so you can rest assured that no hidden fees will show up after the fact! I just want to buy the raw images/digital files. Can I? Unfortunately, no. :) Part of what makes a Jen Dean photo is the editing style I’ve worked for years to cultivate. When you work with me, you’re investing in 20 years of experience, and that experience doesn’t stop working for you when you leave the session. My prints* start at $175, and any image you purchase comes with digital rights. BUT! In this digital age it’s important to me that the people I work with have physical copies of our images. I want you to remember the way the air smelled on your children’s first trip to the Atlantic. How confident you were when you posed for me in light and lace. The sound of your grandmother’s laugh on her 85th birthday. The way your partner looked at you when you said “Yes! I do!” And I want you to experience that every day, when you walk by the portrait(s) that you’ve hung in your home. *All prints do come with digital rights. To be fair, my Personal Branding sessions are geared more towards digital displays - think your website, social media, etc - but if you work with me, you WILL walk away with at least one tangible, beautifully mounted, museum quality print. It’s a given. Awesome! How do I get this started? I can’t wait to meet you, and yours, and capture images you’ll treasure for years to come! My studio is Suite 350 on the 3rd floor of the Dana Warp Mill, located at 72 Bridge St., Westbrook, ME. Parking can be tricky! Give yourself plenty of time. If you don’t see any spots directly in front, you may have to park in the lot at the end of the building. Come in the main entrance with the big awning on the far left - look for the ramp! It’s right across from Dough Boy’s Deli. Walk straight forward to take the elevator to the 3rd floor. Then walk straight off elevator toward Jazzercise, take a right, follow to the long hall to the end, take another right, and the studio is on the left. You will see a sign on the door for Jen Dean Photography! If all else fails? Call me. I always have my phone on hand.